Romney tells a crowd in Le Mars, Iowa that he would veto the DREAM act if he came to his desk as president. "I am delighted with the idea that people who come to this country and wish to serve in the military can be given a path to become permanent residents in this country. 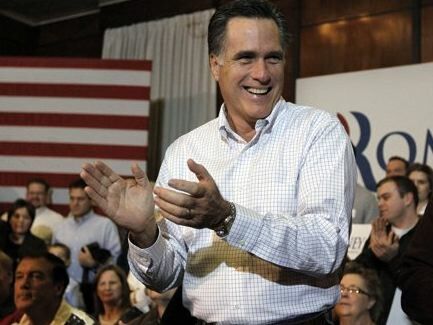 Those who serve in our military and fulfill those requirements, I respect and acknowledge that path," Romney said. "For those who come here illegally, the idea of giving them in-state tuition credits or other special benefits, I find that to be contrary of being a nation of laws."